Contact (310) 459-8294. 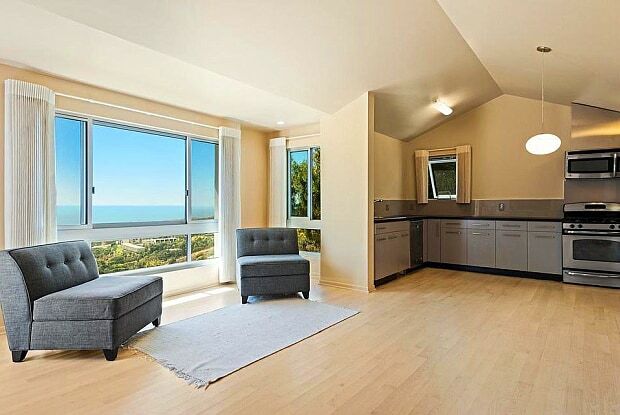 $4750 2br-2ba, 1450ft townhouse, 180 degree Ocean view, High Ceiling, across from Pepperdine Malibu no smoking, 2 Carport Breathtaking view, contemporary 2 BDR. 2 BA. 2 walk in-closet, gated townhouse, with a cosy backyard, plus 2 car parking inside the gate. 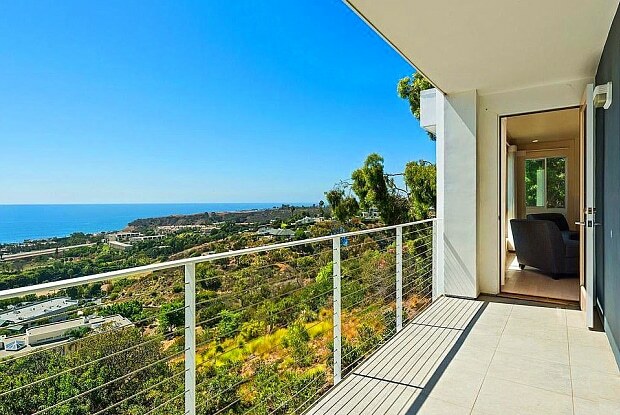 Located in the heart of Malibu, this state of the art townhouse has a 180 degrees view of the ocean, is bright and airy. Wake Up with the sunrise and enjoy the sunset. Have your breakfast or make a BBQ for dinner, in the yard while watching the ocean. and the sunset. At night, when the ocean is dark, enjoy the lights of the restaurants and markets across PCH. One bedroom has a balcony overlooking the ocean, with its own bathroom and walkin-closet. The second bedroom has also its own bathroom and walkin-closet and has the view of the mountains and the flowered backyard. Both bathrooms walls are covered with Carrera Italian Marble. The entrance hall leads to the open space living room, dining room and the kitchen with 180 degree view. The kitchen is equipped with all the amenities. The apartment has also an equipped washer and dryer laundry room and a storage room. No pets. Have a question for 23838 Harbor Vista Drive?